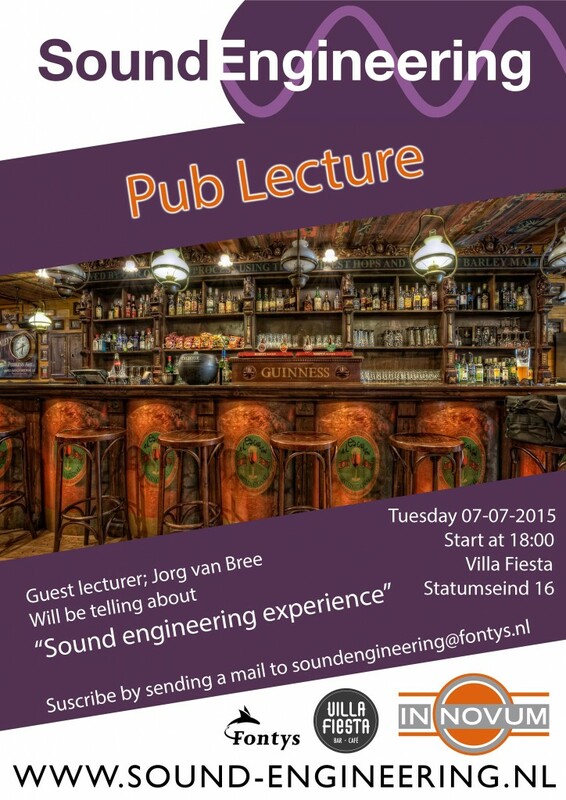 Join us for a beer and a nice informal lecture at the first Sound Engineering pub lecture! Two former Sound Engineering students, Jorg van Bree and Tom Bosmans, will be there to talk about their time at Fontys and their experience with Sound Engineering. This is the first Sound Engineering pub lecture and it will certainly not be the last! The lecture will be conducted in English.